Darkness On The Edge Of Town Tour rehearsals with no members of the public present. A brief rendition of the song "King Tut" is performed (often mistakenly identified as "Wooly Bully"). Apparently, the performance of "King Tut" results from an episode they saw of "Saturday Night Live" with comedian Steve Martin on April 22, 1978. Martin opened the show with the song, in an elaborate production number. The response to the song was so great Martin released a single in July that made the Top 10. 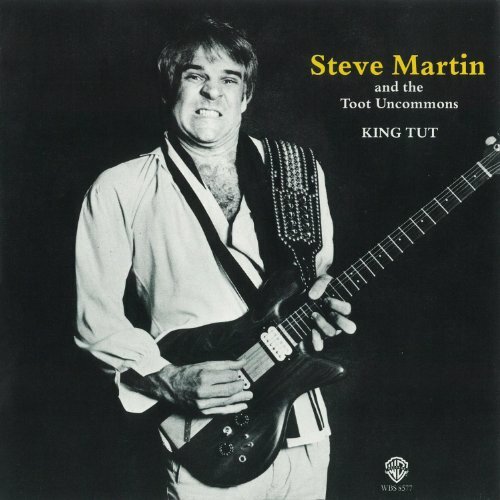 "King Tut" is a novelty song performed by Steve Martin and the Toot Uncommons (actually members of the Nitty Gritty Dirt Band). It was released as a single in 1978, sold over a million copies, and reached number 17 on the Billboard Hot 100 chart. Martin previewed the song in a live performance during the April 22, 1978 episode of Saturday Night Live. The song was also included on Martin's album A Wild and Crazy Guy. "King Tut" paid homage to Egyptian pharaoh Tutankhamun and presents a caricature of the sensational Treasures of Tutankhamun traveling exhibit that toured seven United States cities from 1976 to 1979. The exhibit attracted approximately eight million visitors. In the Saturday Night Live performance of "King Tut," loyal subjects appease a joyful King Tut with kitchen appliances. An instrumental solo is delivered by saxophone player Lou Marini, who steps out of a sarcophagus—painted gold—to great laughter. (Tut, tut) (Tut, tut) Golden idol!